Earlier this year, I observed the audience’s reaction to our UNLEASH America keynote speaker, Mo Gawdat, on innovation and happiness. Mo is the founder of onebillionhappy.org but prior to that he was the Chief Business Officer at Google X and decided to leave his position after losing his beloved son Ali. He is making it his personal mission to help 1 billion people become happier in all aspects of their life. After telling the room it was alright to be happy at work, and how he wanted to achieve his goal, Mo’s speech brought tears to thousands of people in the room. One of the reasons I wanted Mo to be our keynote speaker is my own belief we need to humanize, look ourselves in the mirror and be happy again – at work and at home. We spend a substantial amount of time at work in our life and I do believe our happiness is hugely impacted on how we feel in the workplace. This process of pursuing happiness highly resonated with me and the important role that HR professionals play in it. 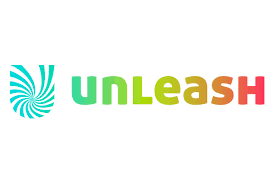 On our own mission to inspire and transform the world of work and technology and to continue highlighting the importance of wellbeing, I am very excited about our keynote speakers in Amsterdam for UNLEASH World Conference and Expo this October, Esther Perel and Matthieu Ricard. If you haven’t heard of Esther Perel yet, you are in for a treat. A Belgium-born, New York-living psychotherapist who helped change the lives of millions of couples and who is not afraid to tell people to “shut it!” has decided to join us in unleashing the chains of workplace relationships where jealousy, betrayal and bitterness can sabotage a business as much as a marriage. Recently, the world’s leading analyst on the Future of Work, Josh Bersin, highlighted the move from automation to productivity in organizations over the past two years. In the context of the digital revolution, Esther blames our devices for causing all sorts of new vices in the workplace, including that square-eyed-always-busy-work-asylum-look for productivity that rules our world of work. (You know you have colleagues like that!) Esther feels that digital communication is damaging and because 2D communication deprives us of our senses, the levels of distortion between slack or email messaging for example and face-to-face to voice communication is massive. Arianna Huffington, who keynoted our event in Amsterdam last year, echoed this and encouraged everyone to start introducing her Thrive Global model in their lives to disconnect from technology and reconnect more with life. On the topic of happiness, earlier this year, some of our community called me in the midst of conference season with common feedback that they were meeting so many people who are unhappy at work and life. Any research you choose to look at for the past 10 years averages that about 54% of people are unhappy with their work.The team thought it would be a step in the right direction to find the happiest man in the world, Matthieu Ricard to close the Amsterdam show this year and send people home with some real fuel and substance, so they leave inspired to be happy themselves and make a difference in helping us change the world. Ricard, a trained scientist and Buddhist monk, is an active participant in the scientific research on the effects of meditation on the brain. He will talk about how happiness and altruism have been viewed by millions. In his work, he has been actively participating in the dialogue between East and West for the past 20 years. He lives in Nepal and devotes all the proceedings of his books and activities to 200 humanitarian projects in Tibet, India, and Nepal, which benefit over 300,000 people every year. Incredible, right? So I ask you this… How different can our world be in 5-10 years’ time? The work revolution is real, I feel we have the ship pointing us in the right direction and we can direct this 4th Industrial Revolution for the generations to come and achieve that idea of a Star Trek World we discussed with Vivek Wadhwa 2 years ago in Silicon Valley. I would love everyone to share their thoughts on love, happiness and how we’re going to change the future of work. What I find interesting, but is not explored here at all, is why so many people are unhappy at work. Whilst meditation, exercise and looking after yourself can play an important part in helping each of us individually withstand the rigours of the working world, this level of unhappiness is epidemic and needs diagnosis and cure, not simply a health tonic. I am a loyal meditator and know of the benefits of meditation from my own experience. It helps connect with our inner, most sacred world. Spirituality is often feared or disregarded, especially in the workplace, but without it we lose touch with reality. What are we really trying to achieve in life? Many talk about connecting with our purpose. That sounds spiritual to me! Very necessary to communicate and commune with others and work well together.